Have you guys heard about Thirty One Gifts? I first heard about them in the fall when I was invited to my first party. A direct-sales company, this is one of those companies where you go to a private party to buy their products. I was unable to attend but they seem to be everywhere these days and I’ve been coveting several of their bags! 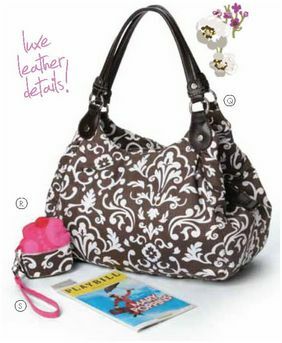 They have everything from small purses to big totes to organizing products that are super cute! Special: I wanted to note too, they are having an awesome special for the month of January. 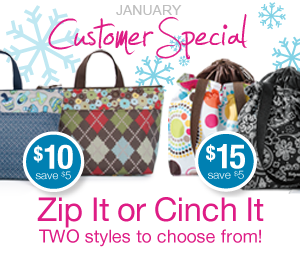 Two of the Thirty-One Gifts thermal lunch totes are on sale until end of day January 31st for $10 and $15 respectively! How awesome is that. If you are a planner, buy ahead and get these for an end of year teacher gift! You can even have them personalized for another $7 so for $17 you have an adorable and affordable teacher gift. What’s not to love about that. So I have an awesome giveaway for one lucky Mommies with Style reader! You can enter to win $100 gift card to spend at Thirty-One Gifts! This giveaway will run until February 2nd. One winner will be selected and notified after that time.